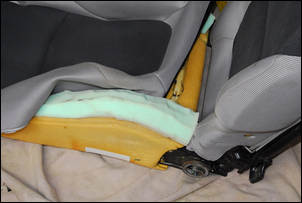 Changing your car seats for new ones can be a real hassle – there are the legal and insurance implications, not to mention the problems of fabricating brackets. But what if instead of changing seats, you just change the shape of the seats you’ve already got? 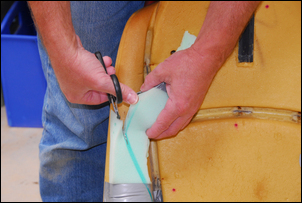 From legal and insurance perspectives, a seat with an altered shape is still the same seat, and you won’t need to make new brackets or anything complicated like that. We decided to put theory into practice. 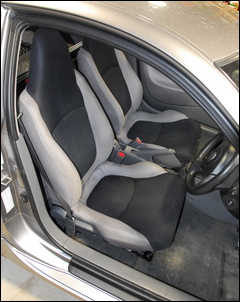 The seats were in a Honda Insight. They might look the right shape but in fact they lack side and lumbar support. 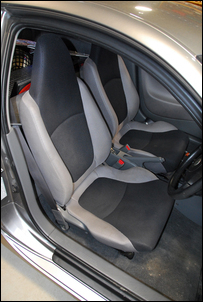 The seats were removed from the car and inspected. 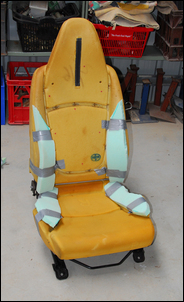 This showed that it was easy to unzip the seat upholstery, leaving behind the seat frame complete with foam rubber and steel springing. 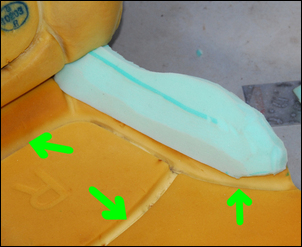 Improving the lumbar support was as easy as inserting this piece of extra foam in the lower back! 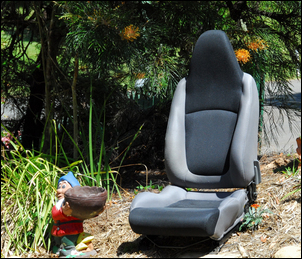 The largest and smallest people who will sit in the seat then tried it for comfort – surprisingly, despite looking quite rough and ready, the extra foam pieces made a great improvement. 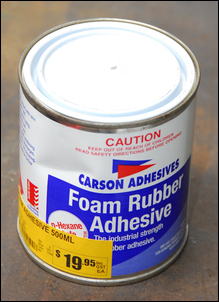 More foam was bought (you need quite firm foam) and then cut and shaped with an electric carving knife. Special glue is needed to stick foam rubber – this was used to glue the additions to the original seat foam. 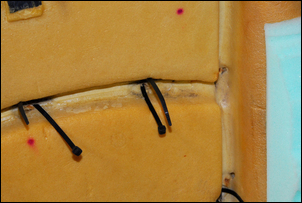 Bulldog clips were used to hold the foam additions in place while the glue dried. The foam additions then looked like this. 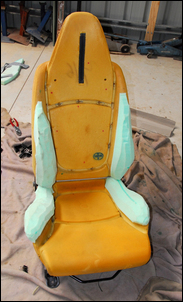 Note that the foam doesn’t have to be shaped perfectly – it’s fine if there are a few surface imperfections, as they get smoothed out when the upholstery is put back on. 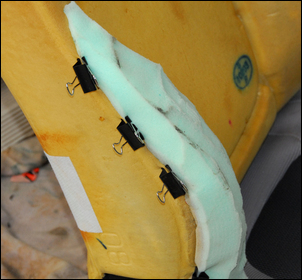 We found that the most critical area to get right was in the height of the additional side-support foam pieces located on the back-rest. Too high and the seat no longer suited people of different heights. ... we used cable ties. 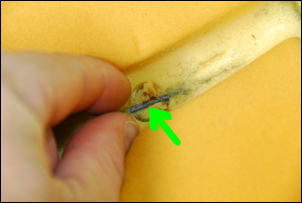 Once tightened, the head of the cable tie was rotated so that it was buried in the foam rubber. 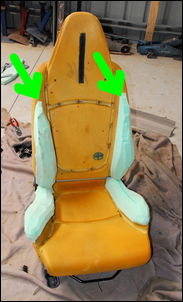 When the upholstery was reinstalled, care had to be taken that the new foam inserts were positioned correctly (eg not pulled sideways by the upholstery being stretched incorrectly). 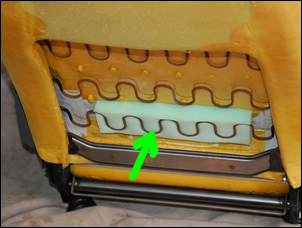 Note that the reinstallation of the cover slightly changes the shape of the inserted foam pieces, so you should retry the seat immediately after the upholstery has been re-installed. ...and so do the measurements! 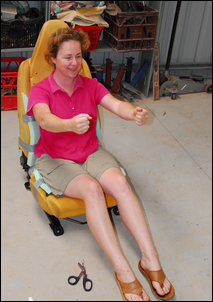 The result is very impressive – much better lateral location and improved lumbar support. 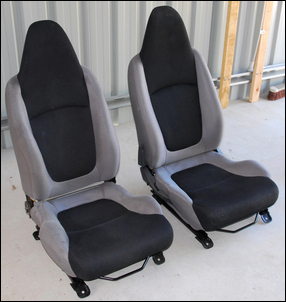 If you reckon your seats are lacking and it’s easy to remove the upholstery, give it a go.